Claude and his brother, Herbert Roderick, known as “Eric”, were both born in India. Eric was born in Howrah on 22 December 1893 and Claude was born in Calcutta on 16 May 1895. Their parents Eliza MagGregor and Herbert “Bertie” Kelway-Bamber had married in India in early 1893. Eliza (1874-1933) was born in Monghyr (Munger), India, the eldest daughter of Major John MacGregor of the Indian Medical Service. Bertie (1863-1946) was born in London, the son of a chemist. The 1881 census records that Bertie was studying in London to be an engineer. He later became a locomotive engineer, working in India as the Carriage and Wagon Superintendent of the East Indian Railway. 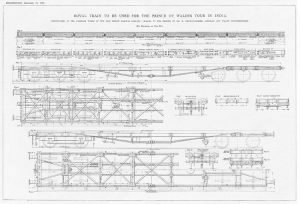 Bertie designed the Royal Train for the visit of the Prince and Princess of Wales (later George V and Queen Mary) to India in 1905-6. He was awarded the MVO (Member of the Royal Victorian Order) for his services. 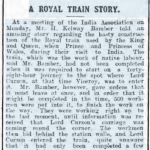 The train was financed by the Indian Government for the royal tour and built to Bertie’s designs by the best workmen from Bengal, Bombay, Burmah and the Punjab. News of the train spread around the world. In 1905, the Los Angeles Herald reported: “Most Luxurious Train for Royal Tour of India. Coaches and equipment built for trip of Prince and Princess of Wales are without equal in the world.” It had nine enormous saloon carriages, seven of which were 72′ long and, for the first time on a train, it offered full-sized baths in specially arranged bathrooms. Two other special trains were built to accommodate the huge staff necessary to wait on the prince and princess. Some years later it was revealed that the train was only just completed in time. (See The Abergavenny Chronicle, 23 June 1916, left.) 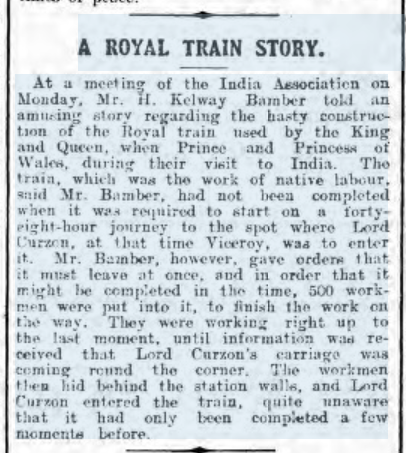 At a meeting of the India Association, Bertie explained that the train still wasn’t finished when it was due to leave on the 48-hour journey across India to meet Lord Curzon, Viceroy of India, and the royals. Bertie gave orders that the train should leave at once and put 500 men on board to finish the work en route. They were applying the finishing touches right until the moment they heard that Lord Curzon’s carriage had arrived at the station, at which point the workmen hid behind the walls. Lord Curzon stepped on board, completely unaware that the train had been completed only minutes before. 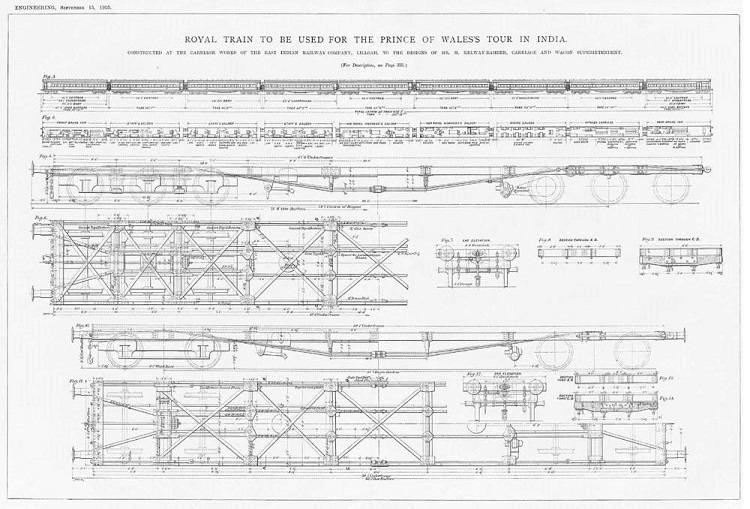 Prints of Bertie’s design for the royal train, right, were for sale on eBay in 2017. Claude was sent to school in England; firstly to Reverend J H Mallinson’s Preparatory School in Dulwich, then Eastbourne College from Christmas term 1909 to summer 1910, and by 1911 he was studying at Courtenay Lodge School, Sutton Courtney, near Abingdon. This was a private school which attracted many pupils from abroad because it offered classes all-year-round. 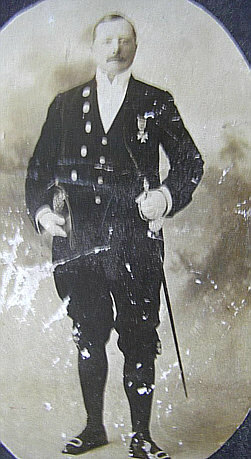 In its early years, before the war, it mainly prepared boys for the Army. Claude was at school for the 1911 census. By then, his parents were back in the UK, at 6K Hyde Park Mansions, Marylebone, London, in a large, eight-roomed flat. Father Bertie was working for the Leeds Forge Company which built railway cars. Eric was at home with them and the census showed that he was in the Royal Navy. 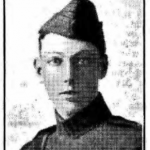 (He joined in 1906. During the war, he was a lieutenant on HMS Neptune. He later he became a naval commander.) The family also had an Indian servant living with them. 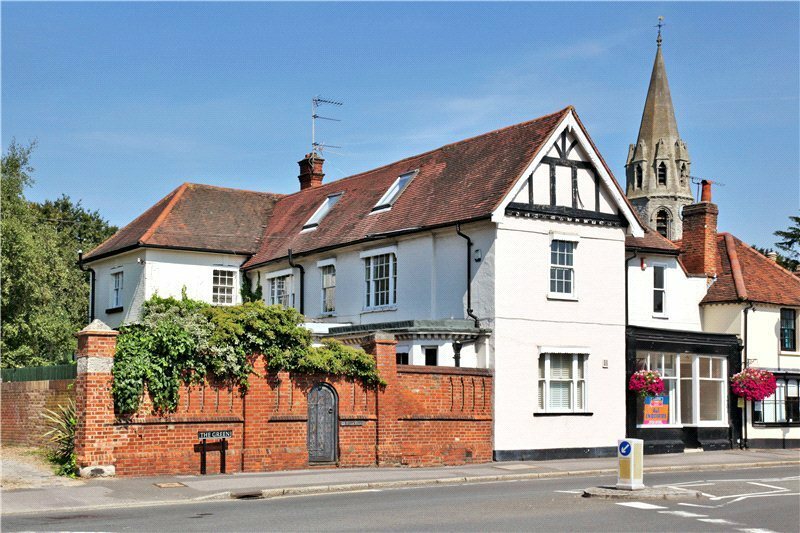 The family later lived at Old Priory on the Green, right. 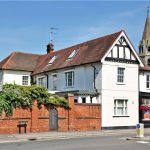 (Local historian Janet Kennish has written more about this building on the Datchet History website.) 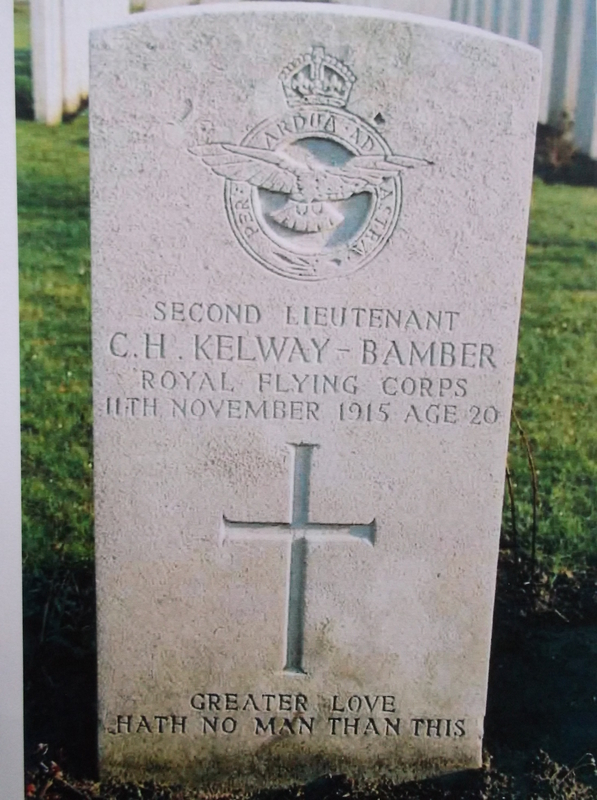 This address is not listed in any of Claude’s military papers found so far, but when his brother Eric’s engagement was announced in the local paper in February 1916, just a few months after Claude’s death, he was described as the son of Herbert Kelway-Bamber of Old Priory, Datchet. The Kelway-Bambers were at Old Priory for the 1918 General Election, and were listed there in the 1920 telephone directory, telephone Datchet 197. 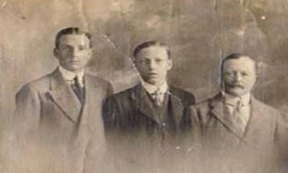 Claude’s father, Bertie, was also a Datchet Parish councillor in the 1920s. We don’t know why the family chose to move to Datchet. They may possibly have had connections in the village. Sir Lionel Cust who lived at Datchet House on London Road, was an art historian and Gentleman Usher to King Edward VII, responsible for the art collections in the royal palaces. (He also designed Datchet’s War Memorial.) His second cousin was Sir Charles Cust who had accompanied the Prince and Princess of Wales, George and Mary, on their train journey through India and compiled an album of photographs which is now held by the Royal Collection Trust. Sir Charles would possibly have liaised with Bertie about the train’s design and special requirements. Sir Charles was Prince George, later King George V’s, equerry until 1917 and would have been a frequent visitor to Windsor Castle. 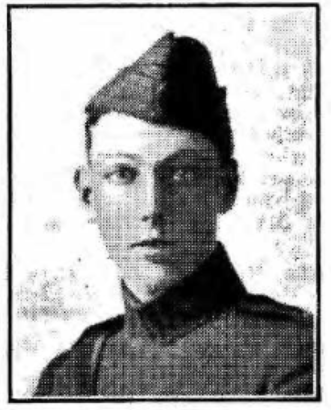 He went to the Front in August 1915. 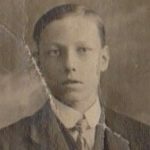 On 8 November 1915, just a few months later, he wrote a few lines to tell his mother to say he would be home on leave in a few days. 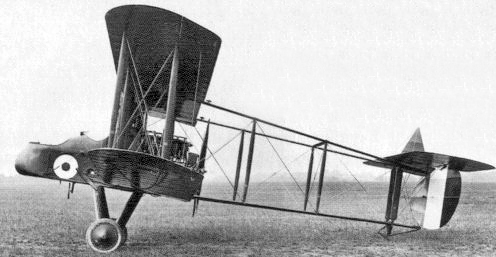 On the morning of the 11th, he went out on patrol in his FE2 and did not return. 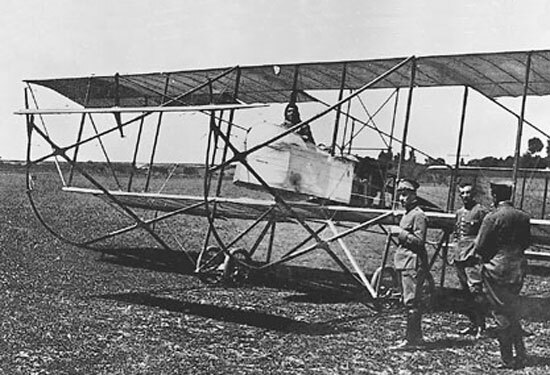 He was reported missing and it was nearly a month before it was known that he had been killed that morning in a mid-air dogfight with two German aeroplanes near Courtrai (now Kortrig) in Flanders. I had a fight with two German aeroplanes when a shell burst very close to us and I heard a large piece whizz past my head. Then the aeroplane started to come down head fist, spinning all the time. We must have dropped about 5000 feet in about 20 seconds. I look round at once and saw poor ________ with a terrible wound in his head, dead. Then I saw that the only chance of saving my life was to step over into his seat and sit on his lap, where I could reach his controls. I managed to get the machine out of the terrible death plunge, switched off the engine and made a good landing. I shall never forget it as long as I live. The shock was so great that I could hardly remember a single thing of my former life for two days. Now I am getting better and my mind is practically normal again. We were 10,000 feet up when poor ________ was killed and, luckily, it was this tremendous height that gave me the time to think and to act. 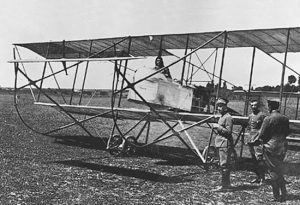 I met one of the pilots of the German machines that had attacked us. He could speak English well, and we shook hands after a most thrilling fight. I had brought down his machine with my machine gun and he had to land quite close to where I landed. He had a bullet through his radiator and petrol tank, but neither he nor his observer was touched. Two German officers I met knew several people that I knew and they were most awfully kind to me. They gave me a very good dinner of champagne and oysters, etc, and I was treated like an honoured guest. I then came by train the next day to Mainz where I was confined in a room by myself for two days. I have now been moved into a general room with eight other English officers, where we sleep and eat. We are treated very well and play hockey and tennis in the prison yard. Claude was originally buried in Lendelede Communal Cemetery in a German grave but was later transferred to Harlebeke New British Cemetery, 32kms east of Ypres. Harlebeke Cemetery was built after the Armistice when graves were brought in from the surrounding battlefields of 1918 and, in 1924-25, from German cemeteries or plots in Belgium. His headstone reads ‘Greater love hath no man than this’. Claude was awarded the Victory and British medals and the 15 Star. There was no mention of Claude’s death in Datchet’s Parish Magazine. On his Burial Return Document which lists the chosen inscription for each soldier’s gravestone, Claude’s father’s contact address is given as the bank, Grindlay & Co, 54 Parliament Square, Westminster, London. ‘On Monday, the weather being pleasantly unpleasant, we ‘Dunkirked’ in the afternoon, lunched there and did some shopping but returned almost immediately, as the roads were so bad that we didn’t like to face them in the dark. ‘Tuesday proved a very rough morning, but after tea four of us went into the little town of X, four miles from here, to a cinema. The show is run by the Sixth Corps and entertains two to three hundred men every night. Fancy an army carrying a cinematograph with it! ‘Next morning, the news leaked out that the King [George V] was going to inspect us. About 6000 infantry were paraded on the aerodrome, and a flagstaff erected in the centre. The Flying Corps were well represented. I had instructions to fly up and around, to give the show a “finishing touch” but a darned thunderstorm came up and provided that instead! ‘The King arrived at 10.30 and the men marched past in great style. Unfortunately the rain prevented the royal party, including the Prince of Wales, and accompanied by Sir John French, from coming round the sheds afterwards, though a number of the Staff, commonly called “Tin-hats” had to be shown round. Two buttonholed me, and there being no means of an honourable retreat, I did the “showman act” for half an hour. Claude’s mother, Eliza, died in 1933. It’s not yet known when she left Datchet. Probate details give her address as Fulking House, Fulking, Sussex, about five miles inland from Brighton. Bertie married again and moved to Florence, Italy. His second wife was Jessie Evelyn, nee Hoare, (b1879). The Ancestry website has passenger records showing they sailed from Indonesia to Southampton in 1937, and gave their place of permanent residence as Italy. Jessie died in April 1942. 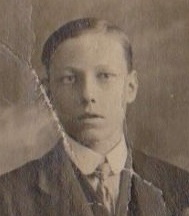 Bertie died in Shrewsbury in 1946. Eric was engaged to “Freda”, Winifred Orr MacAndrew, in 1916. Freda was born in 1892, the second daughter of Francis Glenn MacAndrew. Kelly’s Local Directories list Eric at Old Priory in 1924, Mrs Kelway-Bamber in 1928, and Mrs W O Kelway-Bamber in 1931. Eric was a local councillor and he and Freda’s names appeared frequently in the local press. She was an active member of the community, the Datchet Women’s Conservative Association and a supporter of the Datchet Infant Welfare Centre. Eric and Freda also had a home in central London, at 47 Victoria Street, Westminster. Eric and Freda had two children. 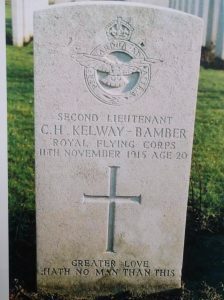 These were Claude Glen Kelway-Bamber (b1920), later Lieutenant Colonel, OBE, and Elizabeth Winifred Kelway-Bamber. When Claude’s first engagement was announced in The Times in 1945, his parents’ address was Alloway Cottage, Ayrshire. They were still there in 1950 when a second engagement was announced. Winifred Orr Kelway-Bamber was later awarded an MBE in 1964 for political and public services in Ayrshire.